Our Food Page has information about Dinners at Lucinda’s Country Inn. Lucinda’s is named Best Romantic Luxury Retreat of California for 2018 by the international Luxury Travel Guide. 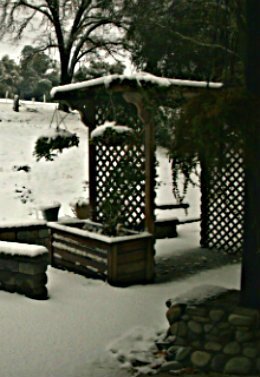 In 2015 – Most Relaxing Country Inn – El Dorado County *** Best Upscale Bed & Breakfast – Amador County *** LUX Recommended Wine Country Getaway – Amador County We have been named these by Luxury Magazine and Travel Guides. The premier publication for luxury travel for those who seek the best of the best establishments in first class hospitality around the world. That’s right, Lucinda’s has just been named among the best in the world. NORTH AMERICA NEWS recognized LUCINDA’S in their California State Business Awards for 2017 as their Luxury Bed and Breakfast of 2017. GoHotels.com has given us their Outstanding Service Award for 2017. 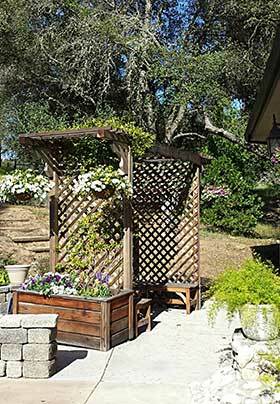 “Location, location, location” is what makes Lucinda’s Country Inn your destination for visiting the Fair Play Wine Country and the Amador Wine Country. Located just 10 minutes from Amador’s Shenandoah Valley, Lucinda’s Country Inn is setting new standards of excellence for El Dorado & Amador County lodging. Our contemporary arts and crafts building gives you the 5 star quality you want and deserve in upscale lodging. As we like to say, “We’re just a quick trip but a world apart and our guests say it feels like home.” In the winter we are above the fog and below the snow. In the summer we are above the heat and our nights are cool. Join us at Lucinda’s Country Inn to experience “The Fair Play Difference”. We are nestled in the woods of the Sierra Nevada Foothills’ Gold Country, halfway between Sacramento and Lake Tahoe and south of Highway 50 between Placerville, in El Dorado County, and Plymouth, in Amador County. Our 11 acres is divided in half by Perry Creek, allowing the majority of the property to remain in its natural wooded state. The footprint of Lucinda’s Country Inn occupies less than one-fourth of the land, leaving the remainder for wildlife to flourish and roam the grounds and for you to stroll in peace and quiet around the property. 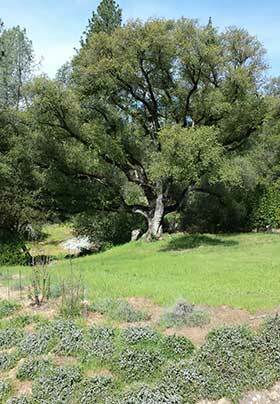 Meander under the majestic oak tree, stroll down to the creek, or wander to the quiet picnic area hidden from the main house. Enjoy the patios on the upper level near Perry Creek Road or at the lower level, between the house and the Cottage, next to the gazebo. Enjoy the deer, turkey, fox, a wide variety of birds and other wildlife while you sit on your private deck. Our world-famous hot buffet breakfast is served in the Inn’s dining room, where you can either enjoy your privacy or visit with the couple sitting at the next table. If the weather is nice, you can enjoy your breakfast on our deck. In the Great Room in front of the fireplace and in the Dining Room, over breakfast, guests often take this opportunity to share adventures of their day and get great ideas for their next outing. Of course, Innkeepers Lucinda and Daryl are the concierges for El Dorado and Amador County, and can provide tips, maps and brochures for your outings. Restaurants are close by, and we can make reservations for you. Most wineries in the Fair Play area have picnic areas. They are a great place to enjoy some great wines and relax with your picnic lunch or snacks. Fair Play is home to more than 30 wineries and Amador’s Shenandoah Valley has over 40 wineries. Explore alpaca ranches, farms, rock climbing, swimming, or just take a drive through the beautiful countryside. Pioneer Park is located less than a mile away if you wish to take a scenic walk, and several hiking trails are located nearby. Take a short drive to visit the State Capitol, Coloma Gold Discovery State Park, Black Chasm Cavern, or one of the most photographed areas in the world: Lake Tahoe. A guest in the Laguna Suite wrote in our guest book, “Our three days here were perfect! Beautiful countryside, your fabulous B&B and hospitality. Our suite was perfect. Meals were delicious!” Connie and Ed, Atherton, CA.